Archive 1991 USS Missouri leaving Fremantle Harbour ariel low ariel shot toward the bow. 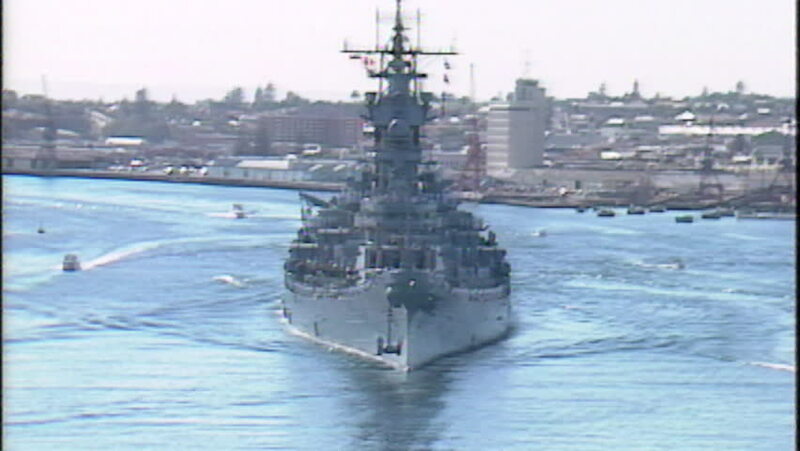 hd00:10Archive 1991 USS Missouri leaving Fremantle Harbour ariel low ariel shot toward the bow. 4k00:20Butterworth, Penang/Malaysia-Jun 02 2018: ROYAL JASPER Oil/Chemical Tanker vessel and traditional fishing boat park at jetty.